The Bodies Museum moved to Faneuil Hall, Boston to showcase an extraordinary human body exhibit, Vitals. It showcased all of the important systems in the body, such as digestive, respiratory, and muscular. The displays can only be described as remarkable. 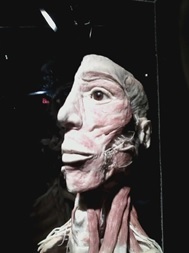 The creator of the exhibit, Gunther von Hagens, uses actual people who have died to show the majestic intricacies giving viewers a new vision about how hard bodies really work. All of the organs, tissues, and yes, people, in the museum were alive and working at one point, but with the help of preservatives these bodies have remained intact. It takes one year to fully preserve a body to go on display. Viewers walking by the bodies see them in different positions and activities and are amazed at how many muscles are involved in even the simplest of actions. From dancing, fencing, and even playing hockey, the power and majesty put into every movement people make is beyond fascinating. Some bodies were cut in half so the organs and cavities could be seen from multiple angles. Some organs were on display in glass cases. A few organs and limbs featured different medical conditions so the viewer could see how the condition affected the bodies underneath the skin. One example was a hand with carpal tunnel syndrome. Along with each system, the exhibit featured these indescribable blood vessel models. Hagen managed to remove everything but the blood vessels, allowing the viewer to witness every vein and artery inside the body. The vast amount of blood vessels in the arm, kidneys, body, and face make the organs look like sculptures made of thick red netting. In the respiratory system there were many lung samples. Some were together with the diaphragm and larynx, while others were open to view inside the lung itself. The exhibit also featured a few pairs of smoker’s lungs, which resembled scaly black rock. The digestive system also featured a hall that showcased the average weekly grocery list from multiple countries around the world. From India to America the food products varied from fruits and vegetables to McDonald’s and Pizza Hut. It’s fascinating to see what foods different nationalities eat. The museum includes the reproductive system and contains fragile structures so those with young children should wait until they’re a few years older. However, the Bodies Vitals exhibit was a fantastic experience and “must do” for those who are fascinated by the structural anatomy of the human body and those who can handle looking at skinned dead people. Tickets for adult’s tickets are $22.50, children are $15.50 and seniors, college students, and military are $18.50. The exhibit is open from 10 a.m. to 5 p.m. This entry was posted in Entertainment, Home and tagged 2013-14, anatomy, Body Worlds Vital, Boston, disease, Fanual Hall, Health, human body, Kaitlyn Jumpe, limbs, muscles, organs, Vital on March 31, 2014 by cammerritt. On April 21, AHS dean Martin Tighe will be running the Boston Marathon in an effort to raise money for the Rebeckha Lynn Whitefield Foundation. This foundation is a non-profit dedicated to supporting youth organizations within Attleboro and the greater Attleboro area. Since it’s founding in 2008, it has provided financial support for: the AHS varsity athletic program, the “Christmas is for Kids” organization, equestrian scholarships at local farms, and city wide youth-oriented athletic programs. A competitive long distance runner since childhood, Tighe has consistently pushed himself to break new bounds. In 2005, Tighe went on to break four world records: most miles run on a treadmill in a 12 hour period (85.83), fastest time on a treadmill for 50 kilometers (3:44:48), fastest time on a treadmill for 50 miles (6:06:19), and fastest time on a treadmill for 100 kilometers (7:39:31). Two years earlier, Tighe won the first ever “North Pole Marathon,” completing the -20° Fahrenheit race in just over five hours. As preparation for that race, Tighe trained in Bliss Dairy’s freezer. Tighe has been running 95 to 100 miles a week for the past three months in preparation for the Marathon. He hopes to place in the top 150 out of the entire competitor pool. If interested in donating to the foundation to support Tighe’s race, please mail checks payable to: Rebeckha Lynn Whitefield Foundation, 55 Pioneer Circle, Attleboro, Mass 02703. This entry was posted in Home, In & Around AHS and tagged 2013-14, Avi Nerenberg, Boston Marathon, marathon, Martin Tighe, Rebeckha Lynn Whitefield Foundation, runner, Running, Tighe on March 27, 2014 by abeeahs. 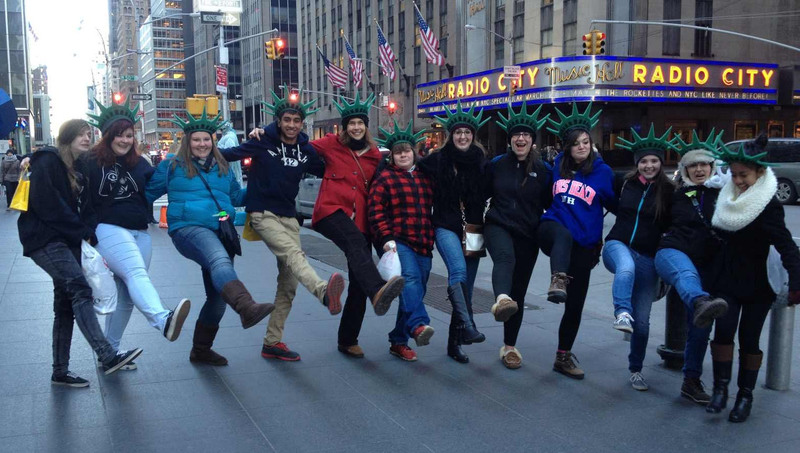 On Feb. 28, AHS students in Ms. Rebecca Richards’s first trimester School Leadership class and the students who are currently in her second trimester School Leadership class went to New York City for a 21st Century Skills field trip planned by the students. During the first trimester Richard assigned the field trip project to her students. She broke everyone up into groups and they had to make an educational presentation on where they wanted to visit. “I’ve been doing the field trip project since 2010; students are always asking can we go on a field trip? So I made it a project and asked, ‘Where would you like to go?’” Richard said. If they were going to take a bus they needed to decide whether or not it should be a school bus or a coach bus. The students also made phone calls to places and bus companies to figure out exactly what it would cost. A date also had to be chosen to go on the trip. At the conclusion of the project, the groups made slideshows to present to the class about how their trip was educational. The class then voted for their favorite and which one they thought would be the most educational and would be agreed to by the administration. The trip was originally going to be a trip to see the 9/11 Memorial in New York, but the educational justification wasn’t the best and the students wanted a field trip that would be approved, so they decided to visit the Museum of the City of New York. Richard’s second trimester class did a lot of work planning the itinerary. Since the students were going to a different location it had to be done all over again and then sent to the administrators. After going through the audio tour of the museum, the students decided to do a scavenger hunt around New York, taking what they learned into effect. The scavenger hunt was called a photo journalism scavenger hunt and the students used their phones and the social networking site Twitter to share. The museum wouldn’t let all of the students in, so the second trimester class had to figure out another place to go. They decided to go to Grand Central Station and take an audio tour, where they learned its history while at the same time historical facts about NYC. On the day of the trip, all of the students met at the pool entrance at 5:45 a.m. to board the bus and begin the long ride. The bus dropped the students off at Grand Central Station where they split up into four separate groups with chaperones. Two groups went into the audio tour first and the other two groups were allowed to walk with a buddy to buy lunch in the station. The audio tour is a device that is held up to the ear at every location, and tells listeners where to go and it gives listeners information on where they are in the station. At one stop it tells listeners about how if they stood at opposite corners of the room and talked, the person at the other end would hear them because of the way the station was built. When one group finished the audio tour their next destination was FAO Schwarz, the oldest toy store in the U.S. 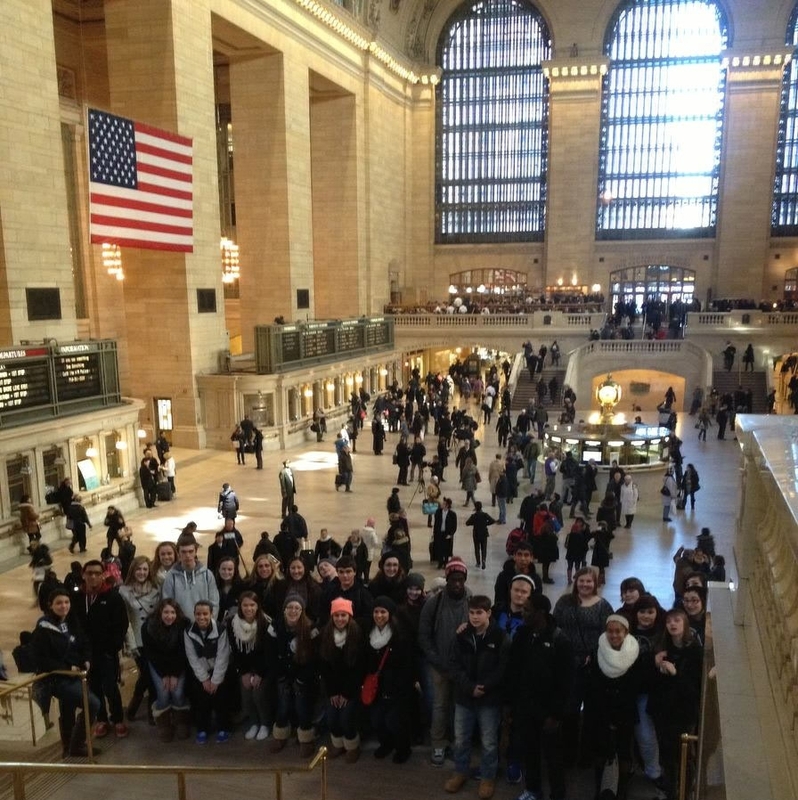 The group mapped their way to the store from Grand Central Station. After figuring out the subway, the students used their maps to find out how to navigate NYC and find the toy store. Once there the students looked around for 45 minutes. The next destination was Times Square and the students needed to figure out how to navigate the streets to walk there from FAO Schwarz. Once in Times Square, the students walked around and explored many of the different stores. The students saw a number of different stores, including the huge Toys “R” Us. Another destination was the M&M store. One problem the students ran into on the trip was that one of the destinations was The Empire State Building. Unfortunately, it cost $27 to just go inside the building and not everyone had enough money. So, the group decided not to go there and instead went to Rockefeller Plaza, which was within walking distance from the M&M store. Once at Rockefeller Plaza the students saw the ice skating rink and NBC studios. “I learned that you must know time management and that we used 21st century skills in a place other than the classroom,” said sophomore Brian Letourneau. “We used our skills that we learned in class in the real world, such as 21st century skills acquired in class in real life situations like navigating the subway,” said sophomore Alex Silva. “Students use 21st century skills to collaborate and plan their routes and then once in the city the students must manage goals and time in order to produce results. NYC is a popular destination because there is so much to do there; it is always first on the list,” Richard said. This field trip gave Richard’s students a chance to use the 21st century skills they had learned in class in real life situations. This entry was posted in Home, In & Around AHS and tagged 2013-14, 21st Century Skills, 9/11 Memorial, Attleboro High School, Empire State Building, FAO Schwartz, Field Trip, Grand Central Station, Hunter Wain, Museum of the City of New York, New York, Rebecca Richard, Rockefeller Plaza, School Leadership, Toys R Us on March 27, 2014 by abeeahs. Every spring the theater and music departments at AHS come together to produce the musical. This year it’s Alice in Wonderland. The story, written by Lewis Caroll, is the same, but with the inclusion of some musical numbers. “The musical is one great collaboration; I like to collaborate with other directors especially with Mr. Gary Hyman,” said Physics teacher and director Mr. Peter Tarsi. “The high school as far as I know has done a musical for decades. Tarsi and I started in 2006 and the first musical we did was Grease. Prior to us, Mr. Peter Glass and Mrs. Naomi Cordell ran them. Tarsi helped them with the set design and I helped with vocal work,” said Hyman. The White Rabbit is played by sophomore representative Sam O’Donnell. “I joined the musical because singing is one of my greatest passions and I want to improve on my singing,” he said. Unlike the Fall show or Festival show, the spring musical accepts everyone who signs up. A large chunk of students usually become a part of the chorus. Rehearsals for the musical are also very different. Along with memorizing lines the performers have to learn their songs and the dances that go with them. Some rehearsals are for just the leads, however, but most involve both the chorus and the leads. “One of the most challenging things is remembering all of the dancing,” said senior and vice president of drama Kait Hull. A lot of work goes into making the musical, so auditions usually take place in the beginning of Jan. From early Jan. toward the beginning of Apr. members of the show work toward making the musical as perfect as possible. During the final week before the show, everyone kicks into hyper drive to make sure the dancing and singing is “spot on.” This week is referred to as “production week.” During this week rehearsals can run for any length of time. “Personally, what I like is seeing the growth from the cast. It’s more about how we got there,” said Hyman. Other leads for the production feature senior Madison Thomas as the caterpillar, senior Kyle Blanchette as the Knave, sophomore Jocelyn Reyome as the Cheshire cat, junior Tyler Richardson as the Mad Hatter, sophomore Delenn Martin as the door mouse, junior Eli Malo as the march Hare, senior Alyssa Germaine as the Queen, and senior Mike Pratt as the King. The musical overall is a fantastic opportunity for students who love to sing and/or act, or to have fun and show the school what they worked hard for. 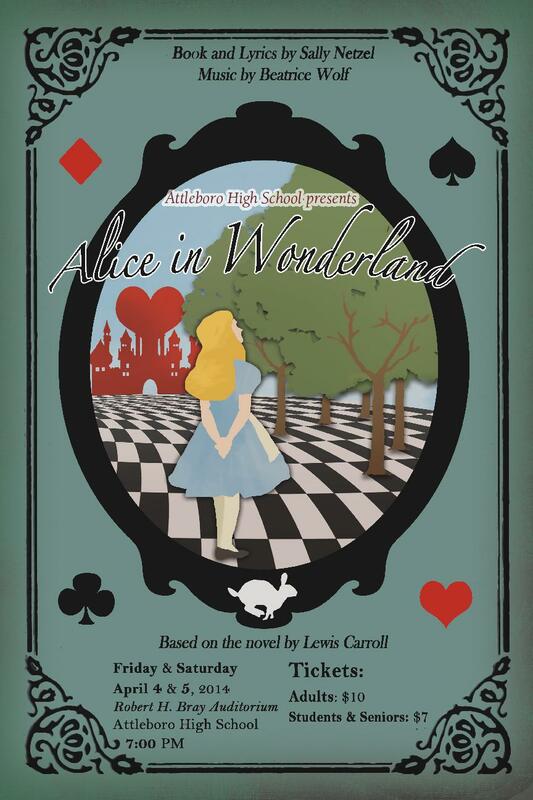 Alice in Wonderland premiers April 4 and 5 in the Bray Auditorium and it starts at 7 p.m. Ticket price is around $10 and discounts will be offered to seniors and students. This entry was posted in Home, In & Around AHS and tagged 2013-14, AHS Drama Club, Alice in Wonderland, April, Bray Auditorium, Gary Hyman, Kaitlyn Jumpe, Music, musicals, Pete Tarsi, rehersals, Spring Musical, Spring Musical 2014 on March 26, 2014 by abeeahs. These last few months of the class of 2014 are coming to an end rapidly; the momentous occasions coming up are what students have been looking forward to for years. Senior year, although stressful, is one of the most enjoyable years of a student’s life. Some of the major stressors include classes, college applications, attendance policies, grades, and work load. “Dealing with school work, working and paying for senior things,” senior Shira Pascal said are some of the most stressful parts of senior year. Dealing with work on top of school five days a week is a difficult task, and then having to maintain grades for colleges is even more challenging. Being involved in a CTE program at the high school adds more to your work load, like “Completing my portfolio,” said senior Meghan Handy. There are many other stressors like completing “all your scholarship applications,” said Emily Ortega, and paying the senior dues, prom ticket, and buying a prom dress or tuxedo. Money is a huge factor in the senior year festivities because of prom, the graduation gown and hat, the senior breakfast, and the year book. “Be on top of your college stuff and actually try,” said Amy Millhollin, leaving a bit of friendly advice for next year’s seniors. Senior year, isn’t a breeze, it’s actually one of the hardest and stressful years of a student’s life. It’s the year students decide what route they want to take and trying their best can only make it an easier experience. “Try your best on everything. It might be hard at first, but your senior year will be so much easier if you take harder classes as an underclassman because it will get you ready for college,” said Pascal. One of the most important parts of your senior year is having a teacher who you trust enough to talk to during the highs and lows. Teachers are backbones and they explain things in broader terms, and help recognize things that nobody else can. “Mrs. [Sheila] Rosa pushed me to try my hardest and do better,” said Ortega. “My early education and care teacher taught me everything, which will help me become a teacher,” said Leon. “Mr. [Brian] Hodges pushes you to do your best and always helps you,” said Medeiros. Senior year, although stressful and enjoyable at the same time, leaves students with a boat load of memories, and will aid students for years to come. Every day goes by faster, workloads become larger and stress becomes more outrageous every day, but as long as students give their all in their last year, everything will be easier. This entry was posted in Home, In & Around AHS and tagged 2013-14, Attleboro High School, Class of 2014, College, graduation, Haley Buono, prom, scholarships, school, senior events, seniors, teachers, work on March 25, 2014 by abeeahs. Once Upon A Time is a television show, created by Edward Kitsis and Adam Horowitz, which airs on the American Broadcasting Company (ABC), Sundays at 8 p.m.
Once is on its third season this year and is still going strong. It’s a fantasy drama that revolves around a cast of fairy tale characters who have been transported to the fictional town of Storybrooke, Maine. They’ve been sent here by a powerful curse that robs everyone of their memories and their previous lives. The show does a magical job of blending both the alien and the familiar. It takes a group of beloved fairytale characters like Snow White, Red Riding Hood and Rumplestiltskin and puts a fun twist on the stories that many people have grown to love. This is part of the show’s charm. By using popular fictional characters and telling a fresh story, it helps to create a narrative that viewers aren’t necessarily familiar with, drawing them in and keeping them interested. Now fairytale characters tend to fall into certain archetypes and are very easy to figure out. However, in Once Upon A Time this is not the case. Characters that are usually 2D are made into 3D relatable individuals. People may not relate to Regina, the Evil Queen, bent on causing everyone else misery, but they may relate to Regina, the adoptive mother who is afraid of losing her son’s affections when his real mother rolls into town. Once has loveable, familiar (yet different), and relatable characters, which are the gems of the show and draws viewers back every Sunday night. For people who haven’t watched this show, they can catch up by either purchasing the first and second season or through the use of the video-streaming service, Netflix. This entry was posted in Entertainment, Home and tagged 2013-14, ABC, Drama, fairy tales, fantasy, Little Red Riding Hood, Netflix, Once Upon a Time, Rumplestiltskin, Snow White, William Martindale on March 25, 2014 by abeeahs. 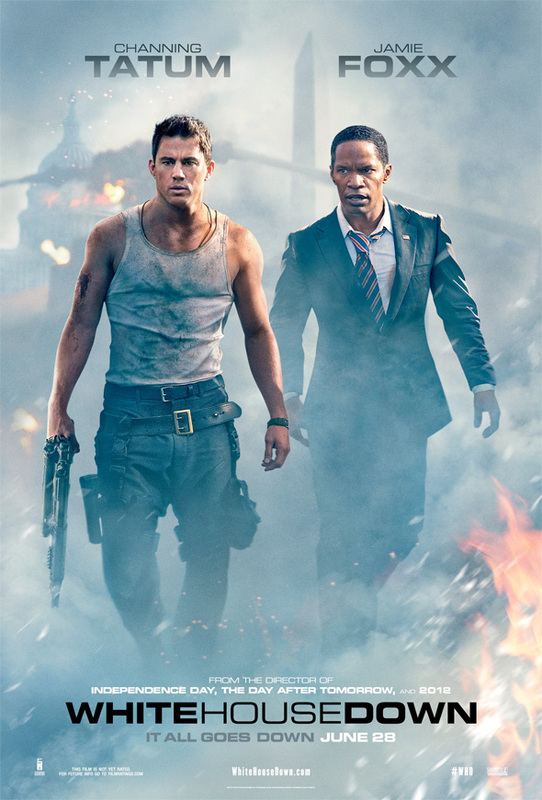 Released in 2013, White House Down starring Channing Tatum, sparked people’s interest with its unique story line. The typically type casted Channing Tatum is normally used in movie productions for his muscular good looks. However, when performing the role of John Cale, a capitol policeman, the viewer’s outlook on Channing changed. The characters in the movie are: President Sawyer (Jamie Foxx), Finnerty (Maggie Gyllenhaal), Walker (James Woods), Raphelson (Richard Jenkins), and Emily (Joey King). The movie centers on Cale trying to be a more involved part of his daughter’s life. He realizes and understands that he hasn’t been doing the best job as a father. He convinces her that he has been given a dream job, one he was actually denied – as a secret service agent to protect President James Sawyer. Cale ends up taking his daughter on a tour of the White House, hiding that he didn’t receive the job, when suddenly everything blows up as the White House is taken over by an armed paramilitary group. The nation’s government begins crumbling right under everyone’s feet, and it becomes Cale’s mission to save his daughter, the President, and the country as a whole. Cale’s daughter becomes separated from the tour group and is nowhere to be found. The movie has made over $73 million at the box office. Filming locations included Washington, D.C. and Montréal. The movie, which is two hours and 17 minutes long, is directed by Roland Emmerich. It was given a PG-13 rating for violence, language, and a brief sexual image. The movie deserves five out of five stars for its out of the ordinary story line, and its use of attention-grabbing action scenes. This entry was posted in Entertainment, Home and tagged 2013-14, action, Channing Tatum, James Woods, Jamie Foxx, Joey King, Kenna Beech, Maggie Gyllenhaal, movie review, President, Richard Jenkins, Secret Service, Washington DC, White House, White House Down on March 24, 2014 by abeeahs.